Garrett Pro-Pointer AT Z-Lynk transmits to Garrett MS-3 headphones or Garrett Z-Lynk wireless kits. Download the Pro Pointer AT manual here. 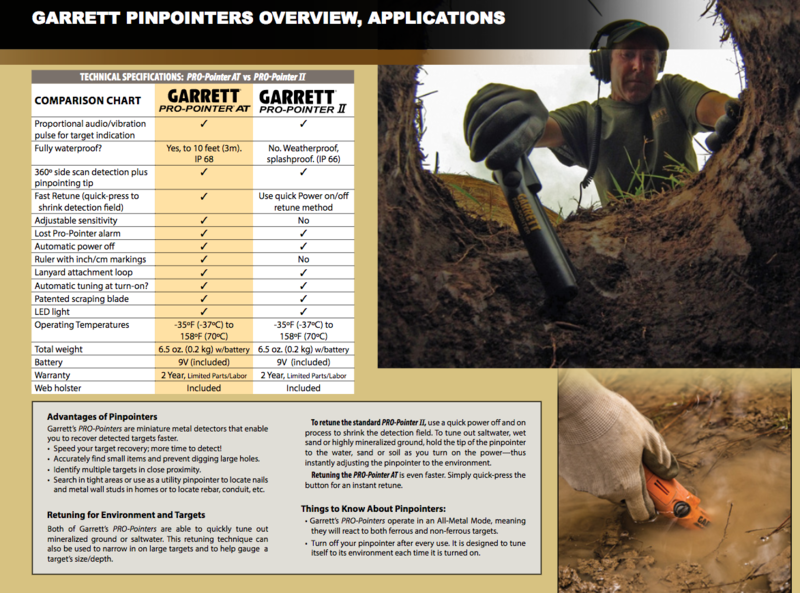 Comparison chart - Pro Pointer AT and Pro Pointer II - which is right for you?